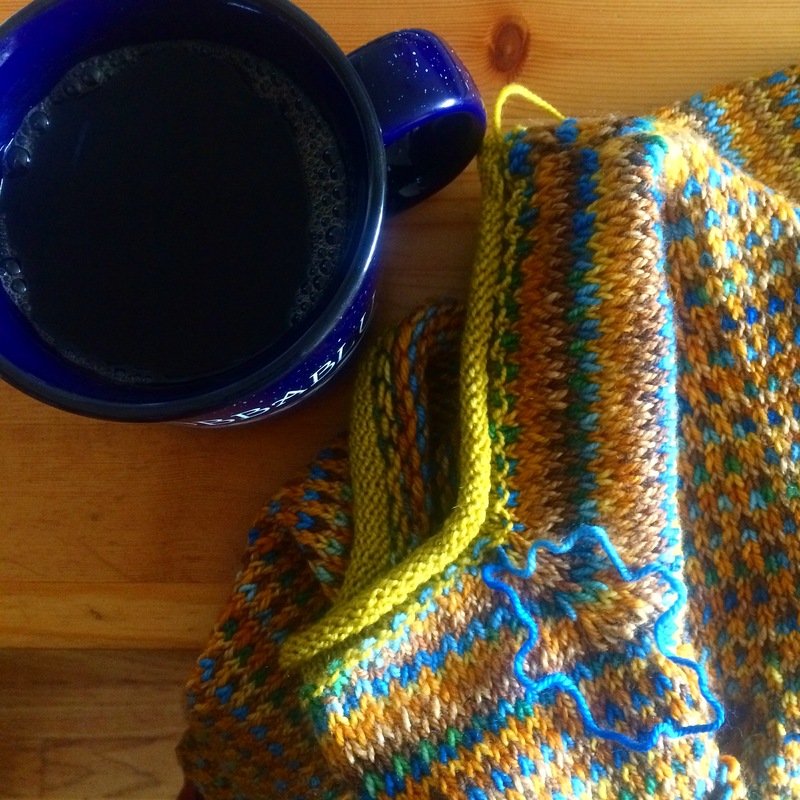 : knitting, sewing, AND crochet?! – holy smokes batman! : my crazy colorful sweater – I’m still not sure what I want for the sleeves, but at least I tightened up the loose line of stitching by the neckline. : and a crocheted something or other – I have a vague idea for a draped crop sweater – so we’ll see how that works out.